Airbnb offers great value when trying to get away for an affordable weekend. We have compiled a list of the 5 most romantic spots that won't break the bank. If you are new to Airbnb, we are offering you €35 in travel credit when you sign up to make your trip even cheaper. This beautifully decorated one-bedroom space is cosy and comfortable for couples who want to spend a couple of nights away from the hustle and bustle of city life. This house and the scenery around it is an oasis of peace and quiet. 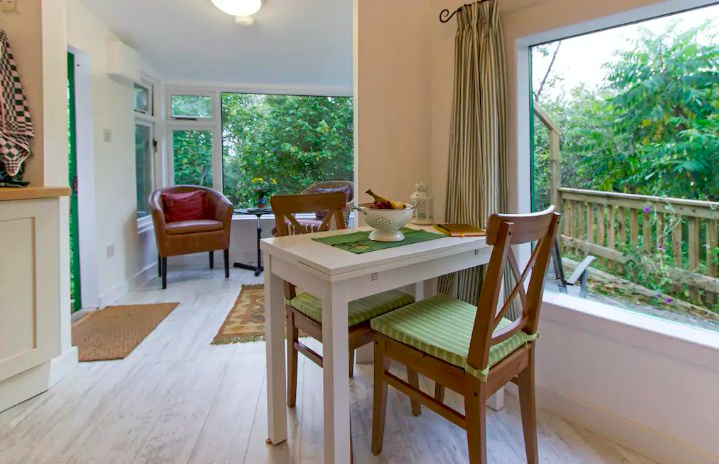 “The Hideaway” is a lovely fabulous accommodation for you and your partner to spend a few days and discover the amazing countryside in Roscommon. One of the most unique Airbnb listings in Ireland, this purpose built cabin will leave lasting memories. This treehouse is the best place for a couple that loves hiking and the great outdoors. You can climb up Croagh Patrick before retreating to your cosy hideaway to enjoy lovely views of the breathtaking mountains. This cosy cabin is ideal if you want to “switch off” for a few days. Ideal for intimate sunset dinner with your loved one. Look out the window and you will have an invigorating view of the mesmerizing Donegal landscape. Perfect location for hiking weekends or those couples who are passionate about photography and the outdoors. Want to travel the country on a budget? This country cottage blends right into the surrounding forests. Stock up on essential supplies in nearby Nenagh and head to this secluded paradise to have some quality, romantic time with you and your better half. If you want to go back in the 18th country, spend a few days in this house. This hidden house features charm and history and takes you back in time. The perfect spot if you are seeking to escape the busy pace of modern life. Happy travels and make sure to share your adventures with us on Twitter.